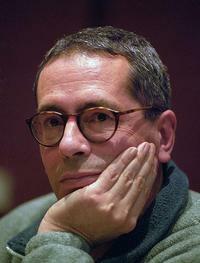 César Aira (born on February 23, 1949 in Coronel Pringles, Buenos Aires Province) is an Argentine writer and translator, considered by many as one of the leading exponents of Argentine contemporary literature, in spite of his limited public recognition. He has published over fifty books of stories, novels and essays. Indeed, at least since 1993 a hallmark of his work is an almost frenetic level of writing and publication –two to four novella-length books each year. Aira has often spoken in interviews of elaborating an avant-garde aesthetic in which, rather than editing what he has written, he engages in a “flight forward” (fuga hacia adelante) to improvise a way out of the corners he writes himself into. 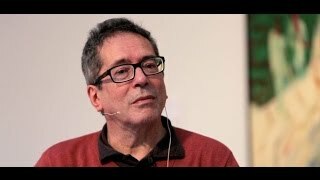 Aira also seeks in his own work, an César Aira (born on February 23, 1949 in Coronel Pringles, Buenos Aires Province) is an Argentine writer and translator, considered by many as one of the leading exponents of Argentine contemporary literature, in spite of his limited public recognition. Aira has often spoken in interviews of elaborating an avant-garde aesthetic in which, rather than editing what he has written, he engages in a “flight forward” (fuga hacia adelante) to improvise a way out of the corners he writes himself into. Aira also seeks in his own work, and praises in the work of others (such as the Argentine-Parisian cartoonist and comic novelist Copi), the “continuum” (el continuo) of a constant movement forward in the fictional narrative. As a result his fictions can jump radically from one genre to another, and often deploy narrative strategies from popular culture and “subliterary” genres like pulp science fiction and television soap operas; on the other hand, he frequently deliberately refuses to conform to generic expectations for how a novel ought to end, leaving many of his fictions quite open-ended. While his subject matter ranges from Surrealist or Dadaist quasi-nonsense to fantastic tales set in his Buenos Aires neighborhood in Flores, Aira also returns frequently to Argentina’s nineteenth century (the two books translated into English, The Hare and An Episode in the Life of a Landscape Painter, are examples of this; so is the best-known novel of his early years, "Ema la cautiva" (Emma, the Captive)). He also returns regularly to play with stereotypes of an exotic East ("Una novela china", A Chinese Novel); "El volante" (The Flyer), and "El pequeño monje budista" (The Little Buddhist Monk)). Aira also enjoys mocking himself and his childhood home town Coronel Pringles in fictions such as "Cómo me hice monja" (How I Became a Nun), "Cómo me reí" (How I Laughed), “El cerebro musical” (The Musical Brain) and "Las curas milagrosas del doctor Aira" (The Miraculous Cures of Dr. Aira). His novella La prueba (1992) served as the basis --or point of departure; only the first half-hour follows the novella-- of Diego Lerman's film Tan de repente (Suddenly) (2002). His novel "Cómo me hice monja" (How I Became a Nun) was selected as one of the best 10 publications in Spain in the year 1998. Besides his fiction, and the translation work he does for a living, Aira also writes literary criticism, including monographic studies of Copi, the poet Alejandra Pizarnik, and the nineteenth-century British limerick and nonsense writer Edward Lear. He wrote a short book, Las tres fechas [The Three Dates], arguing for the central importance, when approaching some minor eccentric writers, of examining the moment of their lives about which they are writing , the date of completion of the work, and the date of publication of the work. Aira also was the literary executor of the complete works of his friend the scabrous poet-novelist Osvaldo Lamborghini (1940–1985). The American publisher, New Directions, has put out four of his works in English translation (An Episode in the Life of a Landscape Painter, How I Became A Nun, Ghosts, The Literary Conference). New Directions plans to publish more works of Aira's in the near future. Is this you? Let us know. If not, help out and invite César to Goodreads.